A mesmerising literary novel, Questions of Travel charts two very different lives. Laura travels the world before returning to Sydney, where she works for a publisher of travel guides. Ravi dreams of being a tourist guide until he is driven from Sri Lanka by devastating events. Around these two superbly drawn characters, a double narrative assembles an enthralling array of people, places and stories – from Theo, whose life plays out in the long shadow of the past, to Hana, an Ethiopian woman determined to reinvent herself in Australia. Read half of it, enjoyed it. Parallel stories, quite interesting a nice read. A worthy book, too many themes, too many characters; enjoyed the prose various quotes from book. Ready only 200 pages excellent characterisation. Tourism and travel. Took a while to get into. I think I will finish it. Shows how people can change from travel. Did not read, only 100 pages, did not enjoy. Did not read, started and could not get into. 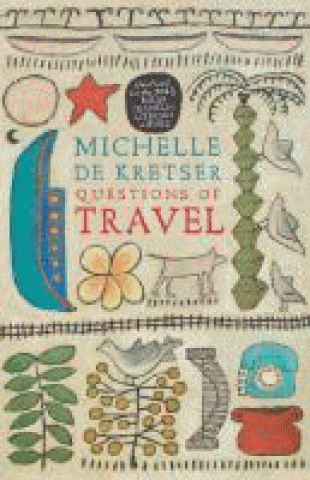 This entry was posted in Australian Authors, Book Reviews and tagged book review, Michelle De Krester, Parramatta City Library, Questions of travel by admin. Bookmark the permalink.